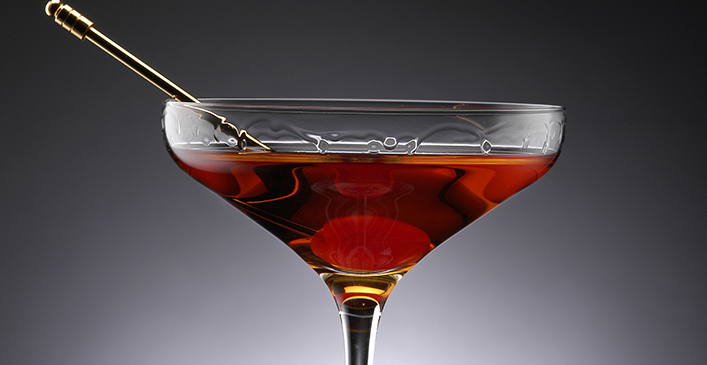 The Manhattan is still considered one of the greatest cocktails ever. The combination of whisky, sweet vermouth and bitters has been an essential drink since its invention in the mid-19th century. Combine all the ingredients in a mixing glass with ice and stir well.